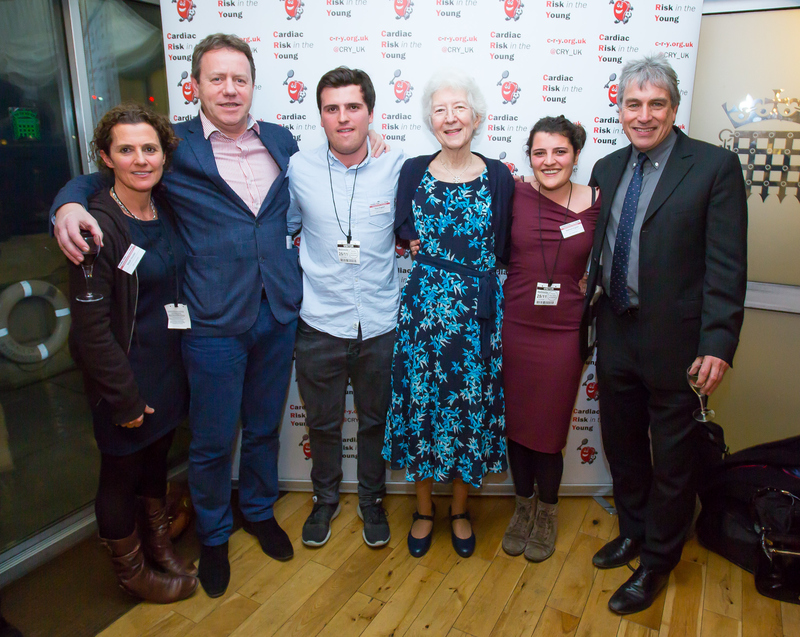 Our 2015 Parliamentary Reception on Wednesday November 25 was an event attended not only by CRY Representatives, supporters, bereaved families, members of the myheart group and the largest ever number of CRY funded Research Fellows (past and present) but also over 40 MPs – all gathered together under one (very prestigious!) roof to help commemorate 20 years of Cardiac Risk in the Young (CRY). As well as marking the charity’s many milestones and achievements, the annual event also provided a high profile platform for the launch of CRY’s inspiring new campaign: www.YSCD.org.uk – a new online database that will allow us to collate information supporting the “true scale” of young sudden cardiac deaths in the UK, as well as presenting the Government with a more accurate understanding of the number of these tragedies. 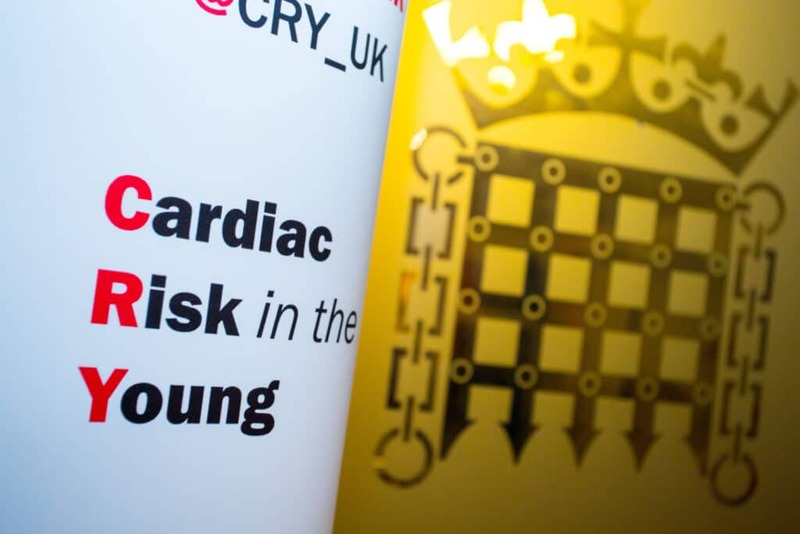 Guests heard how this emotive new campaign is calling for an immediate review of the evidence behind the National Screening Committee’s recent decision not to recommend a cardiac screening programme for young people in the UK. A ripple of agreement and support could be heard amongst the audience as our speakers highlighted the absolute need for a national screening programme for young people if CRY is to fulfil its mission of preventing young sudden cardiac death. CRY also believes that underpinning this campaign is an opportunity to give a voice to all those young people who have died so suddenly and so tragically – at the prime of their lives. As in previous years, the MC for the evening was Hugh Mulcahey, bereaved father & Chair of CRY’s Trustee Board who welcomed the first speaker, Tracey Crouch (Minister for Sport) MP. Tracey had been introduced to CRY via one of our very enthusiastic and proactive supporters, Roger Maddams (a bereaved father from Kent, who is behind the recently launched “Football Fightback” campaign). Whilst Roger lives close to Tracey’s constituency (Chatham and Aylesford) he had also invited along his own MP, Tom Tugendhat (Tonbridge, Edenbridge and Malling), who is clearly engaged with CRY’s goals and has since attended a screening weekend (where we tested over 200 young people) at the home of Roger’s local football team, Tonbridge Angels. Tracey Crouch opened the speeches by providing the guests with an overview of the progress that has been made in terms of screening in sport and the need to ensure this is rolled out from an elite, professional level to all those involved in grass roots sport. Ms. Crouch was then surprised (and visibly moved) to be presented with this year’s painting by wonderful CRY supporter and bereaved father John Bennett – who annually creates a watercolour of a landmark local to our chosen MP. CRY’s Founder Alison Cox MBE explained to the audience that John had started painting to help him come to terms with the sudden cardiac death of his own 14-year-old daughter Laura. Dr Steven Cox – who was introduced by Hugh as CRY’s newly appointed Chief Executive – followed on from Ms. Crouch with further insight and explanation of the new yscd.org.uk campaign, as well as outlining the need for CRY to develop the foundations for a National Strategy for the prevention of young sudden cardiac death. Professor Sanjay Sharma, now an internationally renowned speaker then gave his usual brilliant talk – particularly focusing again on the proven efficacy of CRY screenings and how screening should be being used proactively to safeguard the 80% of young people with a hidden heart condition who die without exhibiting any warning signs or symptoms. And then – having literally just stepped off the train from a 6-hour round trip to Durham to watch his daughter playing in a University hockey match – CRY Patron and leading sports broadcaster, John Inverdale took to the podium to deliver a flawless and utterly heartfelt account of his involvement with CRY and unrelenting commitment to supporting the charity in its work to raise awareness. For those that were unaware, John spoke openly of his own personal experience of knowing four young people who have died from yscd and the devastating impact on family and friends (including the best friend of one of his daughters, 16 year-old Emma Broad, selected to play hockey for Great Britain). He told CRY’s guests of how, in 1993, one of his close friends, Howard English, died in his arms during a game of rugby from an undiagnosed heart condition. He was aged just 32 and his sudden and premature death sent shock waves among his friends, family and teammates. Baroness Ilora Finlay, another of CRY’s Patrons and one of the best known and most active members of the House of Lords concluded our speeches, eloquently and passionately highlighting that the full cost of a young life was still not being properly addressed. She reiterated what she had told the audience at the Parliamentary Reception last year, that it was only when people fully understood this cost did she think that the matter would be given the priority it deserved and welcomed the launch of CRY’s recent manifesto. 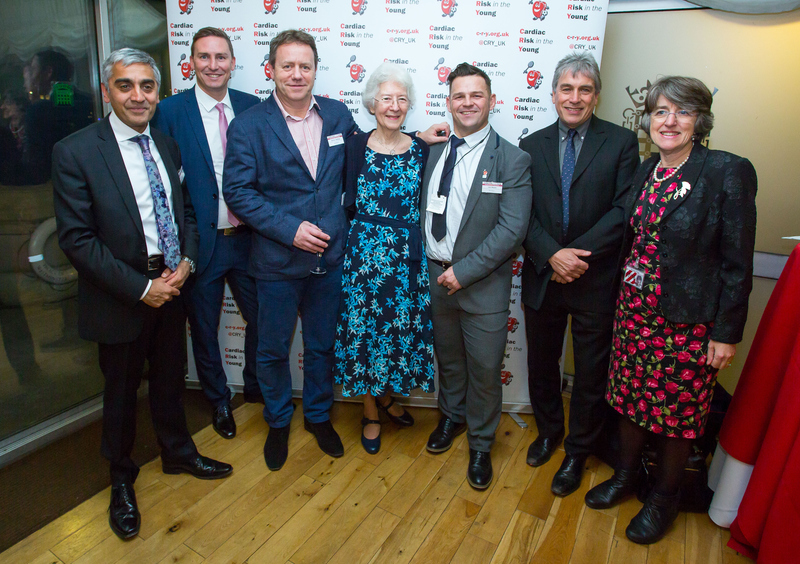 As well as our Patron speakers Ilora and John, the event was also supported by CRY Patrons Simon Halliday, Andy Scott and Lee Mears who we welcomed to the event, and whose company was very much enjoyed by our many guests. CRY’s Founder Alison Cox MBE rounded off the speeches by unveiling the latest in CRY’s specialist series of “grief booklets” – “Christmas following a young sudden cardiac death”, a very timely resource written by – and for – those who had been affected – offering support and solace at one of the most difficult times of the year. Alison then went on to say just a few words about her decision to “take a step back” after 20 incredible years at the helm of CRY, having explained in a recent letter to all supporters that “the responsibilities of Chief Executive should rest on younger shoulders than mine”.